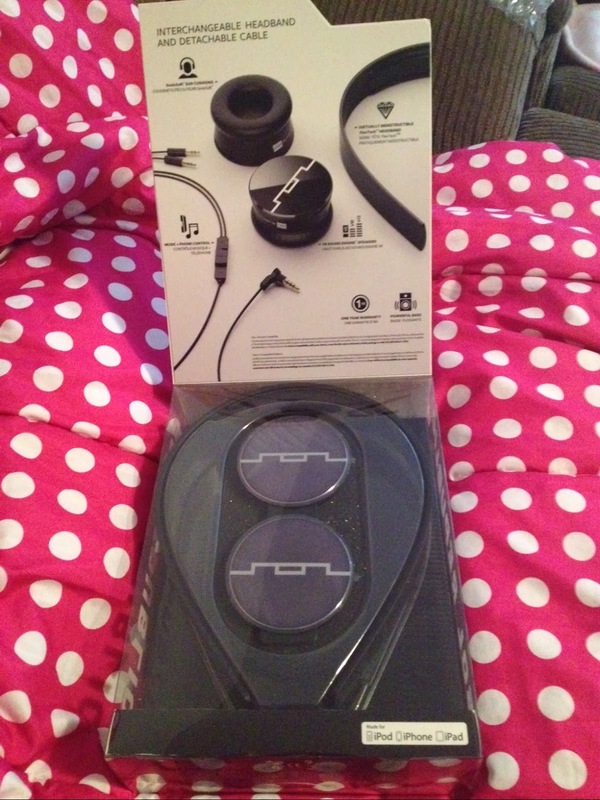 SOL REPUBLIC Tracks V8 Headphones Review and Giveaway Ends 1/27! I listen to music a lot! I am on the computer a lot and when I am, I am listening to music. When listening to music, I listen to it loud so I am always wearing headphones so I don't bother other household members or any neighbors. So when I was contacted by SOL REPUBLIC and was asked if I wanted to review one of their products, I was super excited! I choose their Tracks V8 Headphones in Black for review. SOL REPUBLIC offers the worlds first interchangeable headphones. You can interchange the headbands and totally customize your headphones. I seriously could NOT wait for these bad boys to arrive! When the box arrived, I opened everything up as fast as I could because I was excited to test them out. Wow, where do I even start with these? They are amazing! 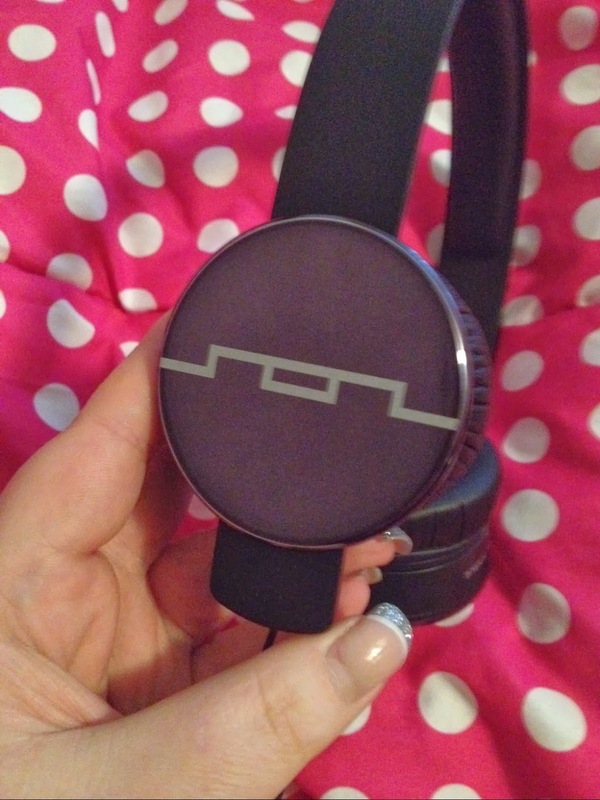 I love that I can buy an additional headband for these and totally customize my headphones. For a small amount of money, you can get a different color headband without buying another pair of headphones at full price. Virtually indestructible headbands? This is fabulous! 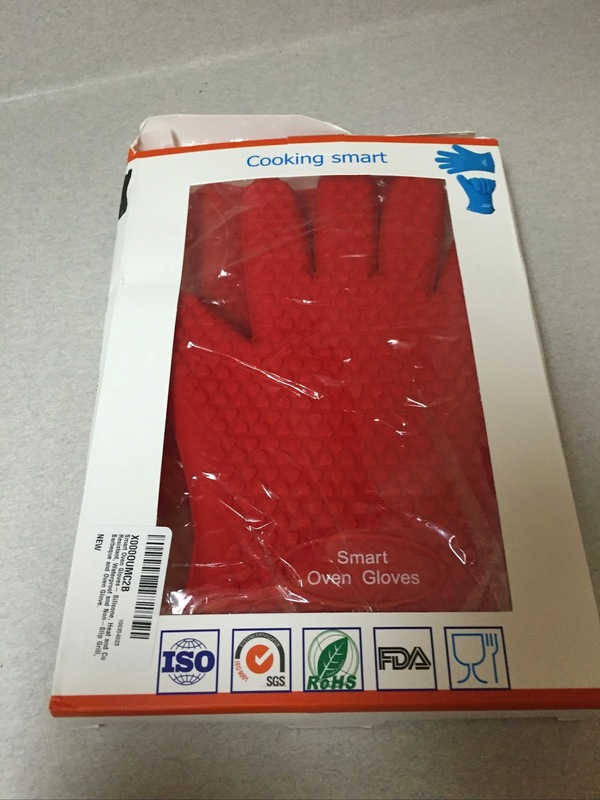 I admit I am not the most careful person and with having a child in the house, things happen so knowing that these are super durable is appreciated. 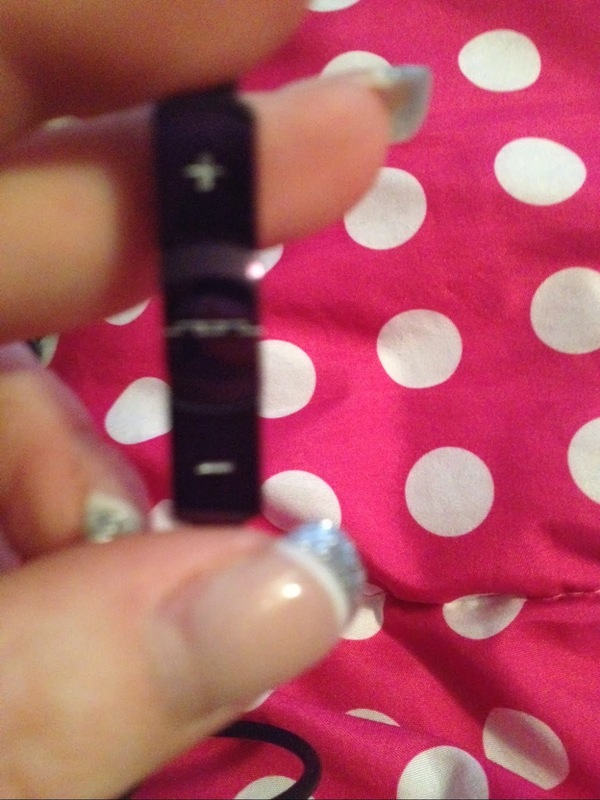 I can't tell you how many headphones I have had to trash because the cheap headband broke! The SonicSoft cushions are fabulous! As I said, I listen to a lot of music and with headphones in the past, my ears would get sore or sweaty from wearing them so long. NOT with these! These are the most comfortable headphones I have ever placed on my ears! They are totally adjustable as well so no matter what size your head is, they will fit and fit comfortably! The sound quality is incredible. The music sounds rich and the bass is definitely noticeable and powerful. I have listened to $300 headphones in the stores and these sounded just as good for a fraction of the price. I love love love having the music and phone control buttons on the cable. I can control the volume of the music with a push of a button. Guess what though? Say you're on the go and listening to music on your cell phone when a phone call comes in...you can take the call via the built in microphone that is in the music and phone control button area. How cool is that? The Tracks V8 come with a one year warranty which I think is great as well. It means SOL REPUBLIC stands behind their products. 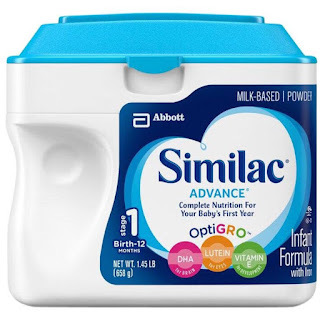 The retail for just under $100 and can be found at many retailers including Target. 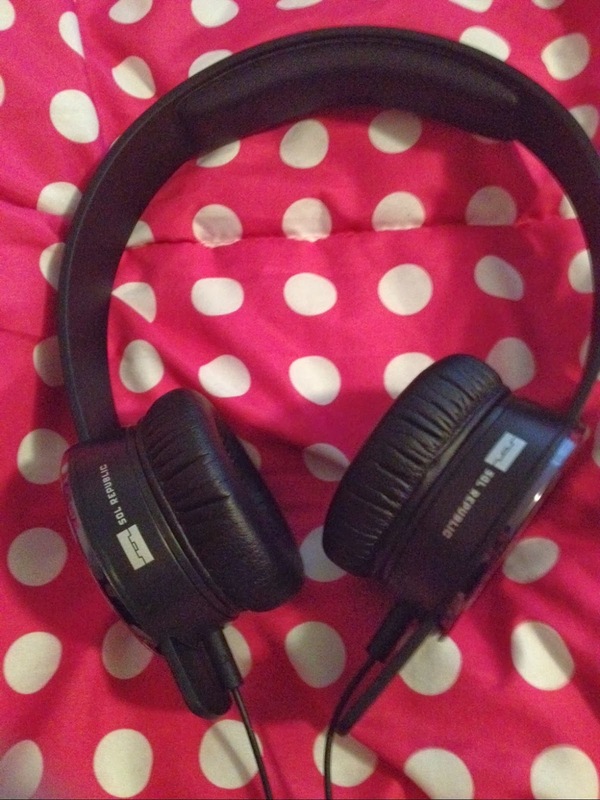 I would recommend these to ANYONE who listens to music on a regular basis or uses headphones on a regular basis. They are super high quality and comfortable. 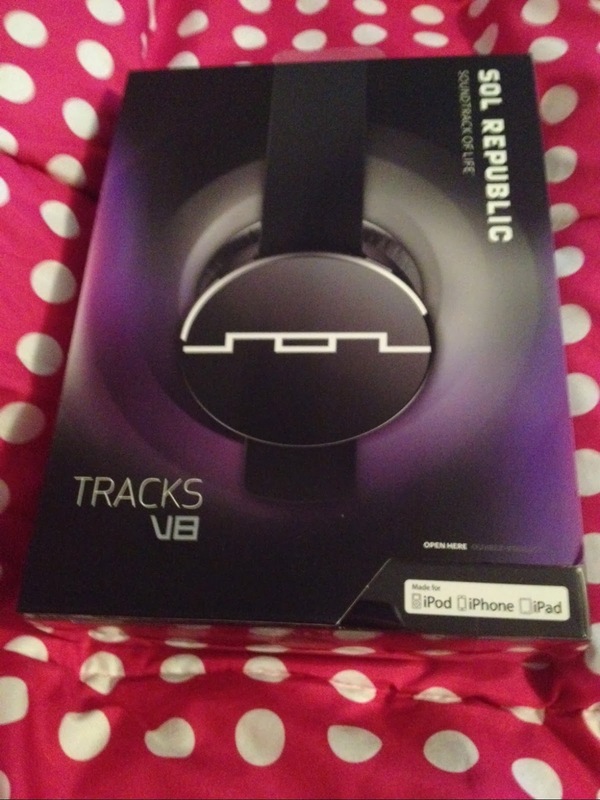 GIVEAWAY - One lucky reader will win their very own pair of SOL REPUBLIC Tracks V8 Headphones! Winner will be able to choose from Black, White, Grey or Red. RULES - You must be 18 or older to enter and live in the US. Giveaway ends 1/27/14 at 11:59 pm eastern time. Winner will be picked via Random.org through Rafflecopter and will be emailed. Winner will have 48 hours to respond before another winner will be chosen.